This personalized booklet will be created just for you! 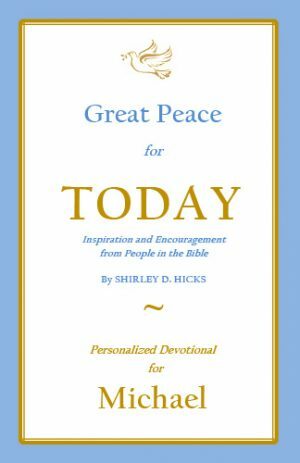 It contains excerpts from the book, Great Peace for Women: Inspiration and Encouragement from Women in the Bible. 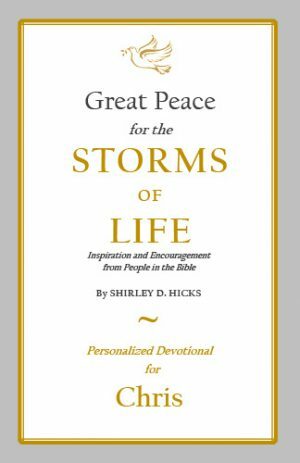 This booklet has 30 pages of biblical principles, poetry, prayers, and promises that include your name in over 100 places in the text. It will be a personal source of inspiration and encouragement for you as you see how God worked in the lives of women in the Bible. Please enter the FIRST NAME ONLY for your personalized booklet. The Great Peace for Women booklet is a 30-page personalized booklet that addresses some of the most common challenges that women face. This booklet will speak directly to you and your situation as you read your name on the cover and throughout the text. 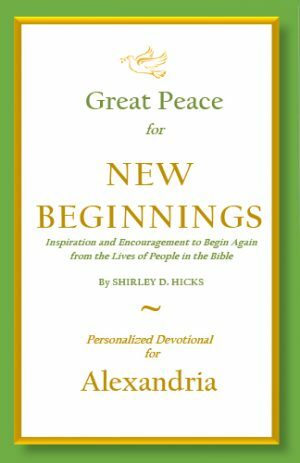 It will help you find God’s great peace through the lives of women in the Bible in a very personalized way. Bible People – See how God divinely worked in the lives of women in the Bible. Bible Principles – Learn how to trust God in the difficult times of life. Bible Poetry – Be encouraged by the inspirational poetry. Bible Prayers – Pray the Word of God over your life. Bible Promises – Apply the eternal promises of God to your situation. 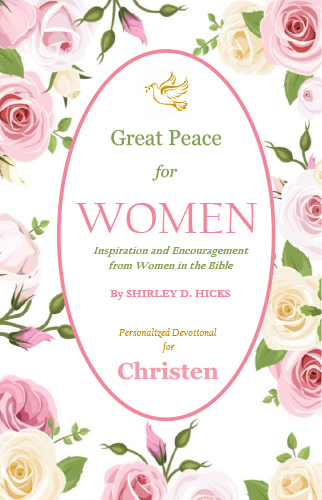 As you see how God worked in the lives of women in the Bible, you will find great peace in knowing that He can also help you as a woman today. 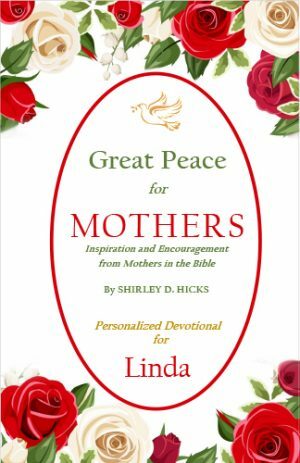 Give the gift of peace and buy this booklet for another woman in your life! Give her a special gift that will have a very personal impact on her life as she reads her name on the cover and throughout the booklet. It’s a gift that will continue to inspire, encourage, and bless her as she walks with the Lord.